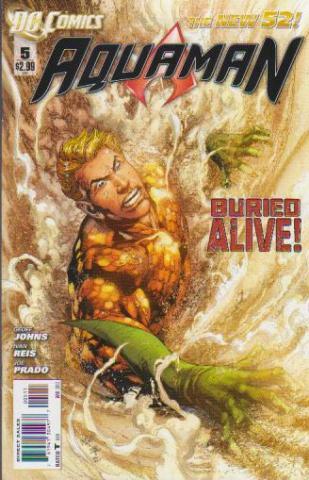 The U.S Navy discovers an ancient artifact in a cocoon left behind by The Trench and Aquaman is lost… in the desert? 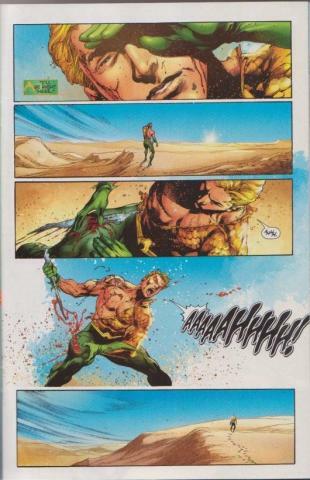 The first page of this comic starts with a bang as Aquaman is free falling from the sky and crash lands in the middle of a desert. What a way to start a comic! We get some armed assailants who steal the mysterious artifact from the navy, some insight on Arthur’s past and Atlantis’ connection to The Trench. 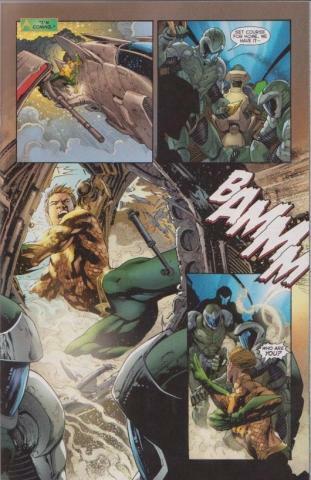 Geoff Johns (Justice League) & Ivan Reis (Blackest Night) keep dishing out the goods as one of The New 52’s best title. Reis’ illustrations with some very talented inkers & colorists burst out on every page. From DC Comics.